Microsoft’s Cortana voice assistant could soon a lot more human thanks to the acquisition of Semantic Machines, a California-based company that specialises in conversational human-machine interactions. Semantic sets itself apart from Alexa, Google Assistant, and other voice assistants thanks to a multi-faceted approach to the intelligence at work behind the vocal interaction. Up until recently, voice assistants have worked primarily from responding to the task at hand, and only the task at hand, lacking the context of prior conversations, which makes them feel far from intelligent. While Assistant and Alexa both have the ability to respond to immediate prior conversation points – for example, you can ask about a song, and then give another command of 'play it', and the song will play – these contextual responses are limited. In an interview with TechCrunch, co-founder and chief scientist of Semantic, Dan Klein said: "Today’s dialog technology is mostly orthogonal. You want a conversational system to be contextual so when you interpret a sentence things don’t stand in isolation." This means that when you want to book a hotel (the example used in the TC interview), your voice assistant would benefit from knowing whether you’ve booked a car or are planning on using public transport, knowing where your meetings are, and what your career is, so that it can tailor a recommendation based on TripAdvisor reviews by people in a similar field. While this level of contextual intelligence obviously leads to a far better user experience (and is far more like a conversation with a human assistant), it makes it overt how much information that company truly knows about you. There are already services like TripIt that collate your travel plans from harvesting your emails, so the technology is nothing new, and frankly it doesn’t change the amount of your personal data that companies actually have, it just makes it clear, and repurposes it so that it’s actually useful for you. 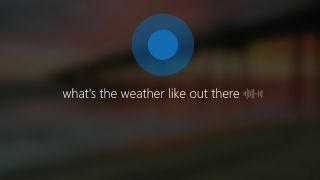 The improvements in Cortana would tie into Microsoft's aims that Cortana will be a "situationally appropriate" assistant that moves with you from work to home, and everywhere in-between, acting proactively to assist you. Of course, we’re in an interesting time for digital-human interactions, with Google’s Duplex making headlines as a robot voice that imitates a human assistant, able to make calls on your behalf. It’s raised the question of whether we actually want our voice assistants to be more human.